The Rebel Sweetheart. : Wordless Wednesday #74 | Spaghetti Monster! 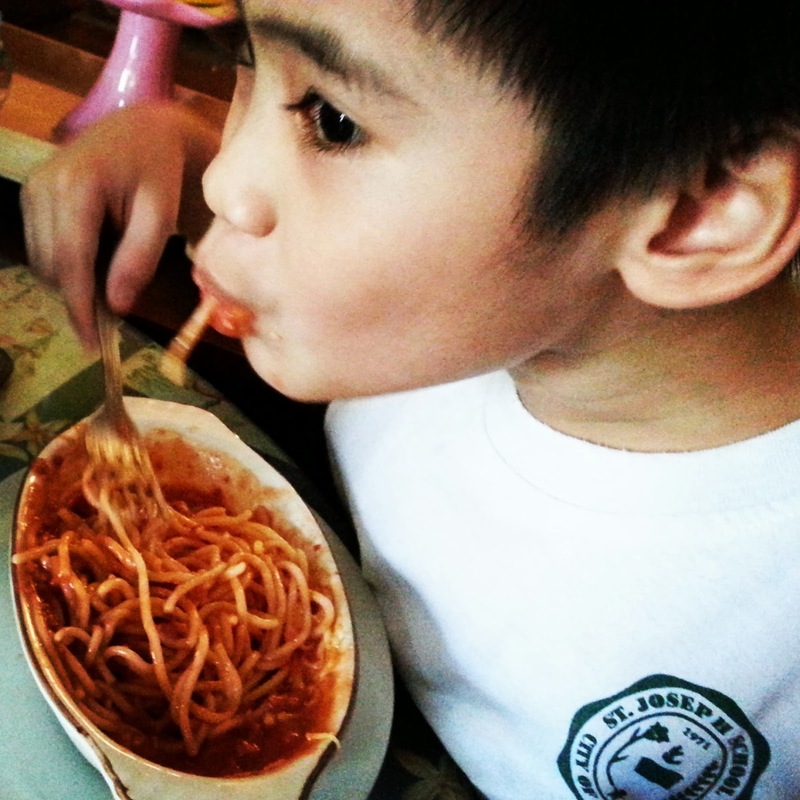 I think all kids, including adults when at home, love to slurp noodles, but spaghetti is the best. Now that looks like the fun way to eat spaghetti! Tis picture makes me want a bowl! Yummy! It looks good! I love making spaghetti pie. I mix egg and cooked noodles together, and form in a pie plate, add cottage cheese on top, then hamburger, or Italian sausage, cooked veggies, tomato sauce and cheese. I don't see a monster, but I do see an adorable little boy. Cutie pie! Enjoy that dinner! HA HA HA I have a few of those guys coming over from time to time! LOL Thanks for sharing. He looks really #wordless for that spaghetti and I hope you can cook for me too. What's your unique recipe for your spaghetti, it will be nice if you will share it. What a handsome boy. He looks like he loves it. I totally look like that too when eating spaghetti! Looks like hre really loved his food! Looks delicious!